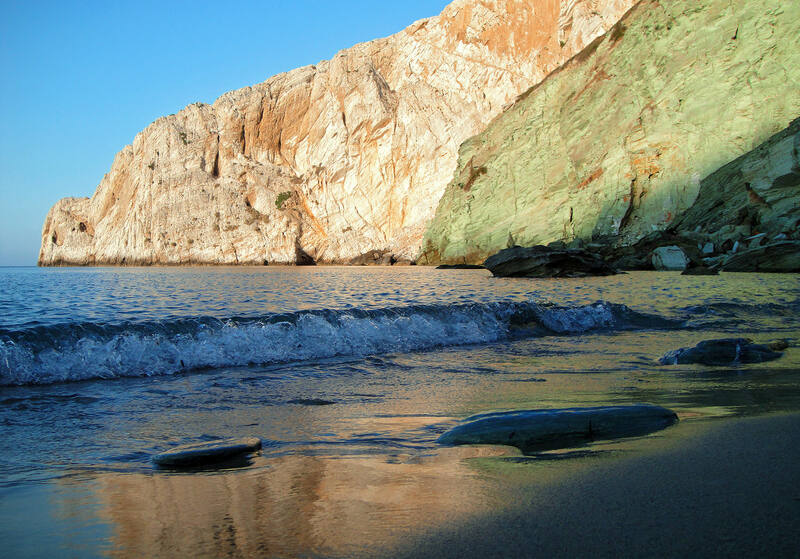 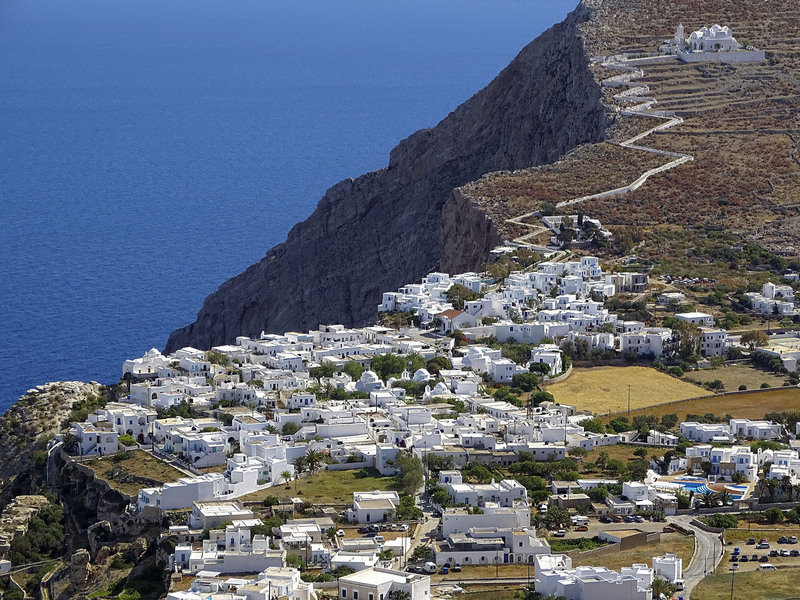 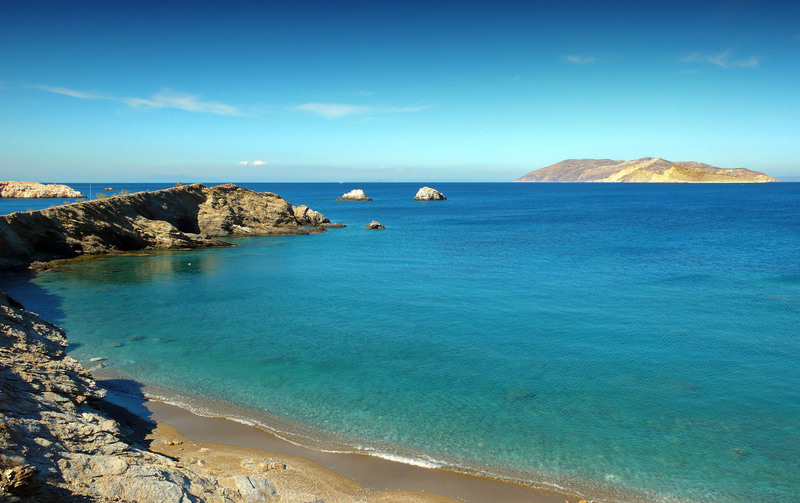 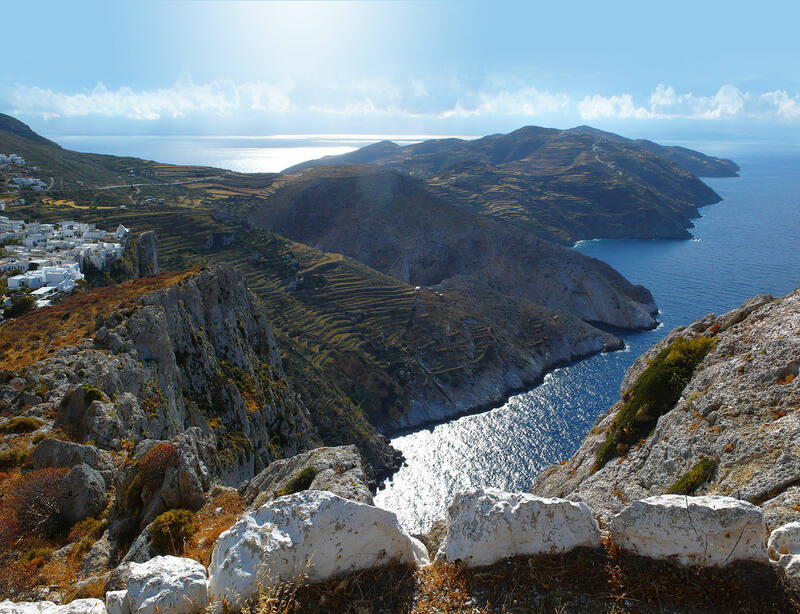 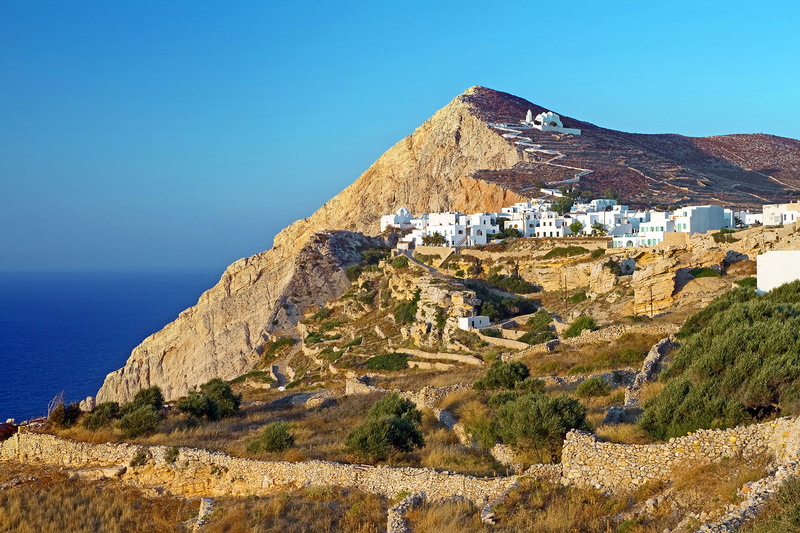 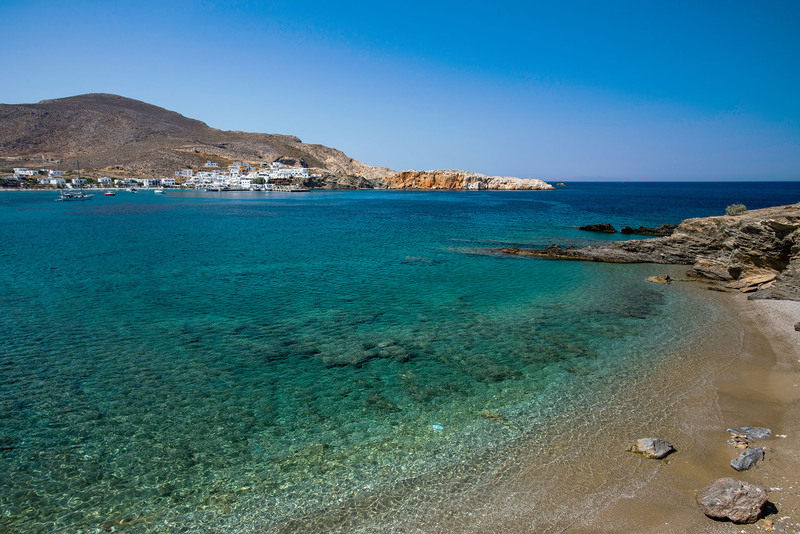 Folegandros is the southernmost of the islands of the once distant, Western Cyclades. 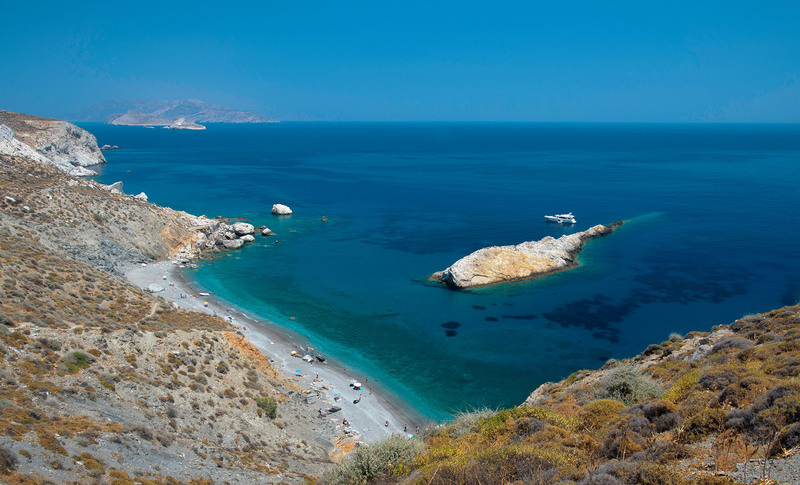 It has been classified as the “Microscopic Diamond of the Aegean”, keeping its Cycladic architecture unchanged in time. 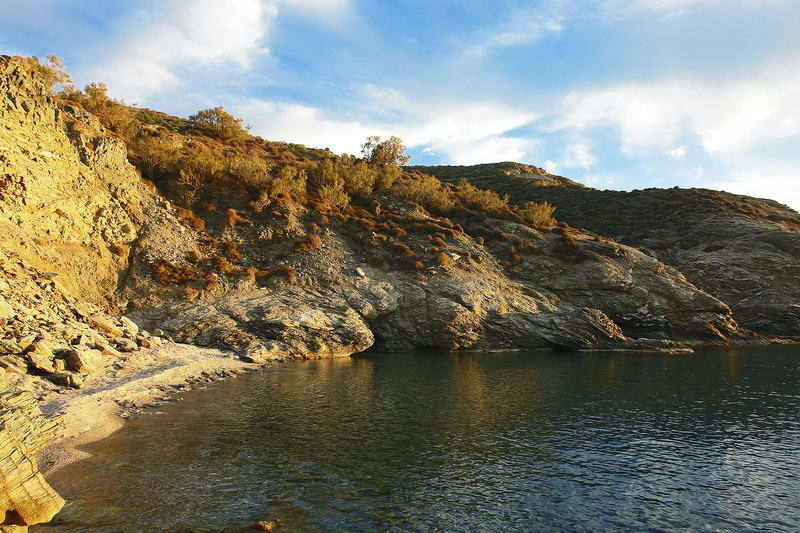 It is a real paradise for walkers who love nature. 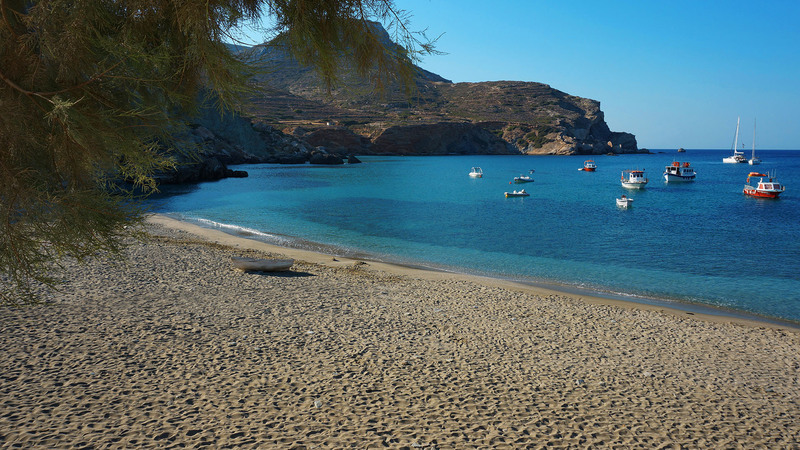 It is worth noting that two of the beaches of the island, Katergo and Ambeli, with their crystal clear blue waters, have been voted among the most beautiful of the world. 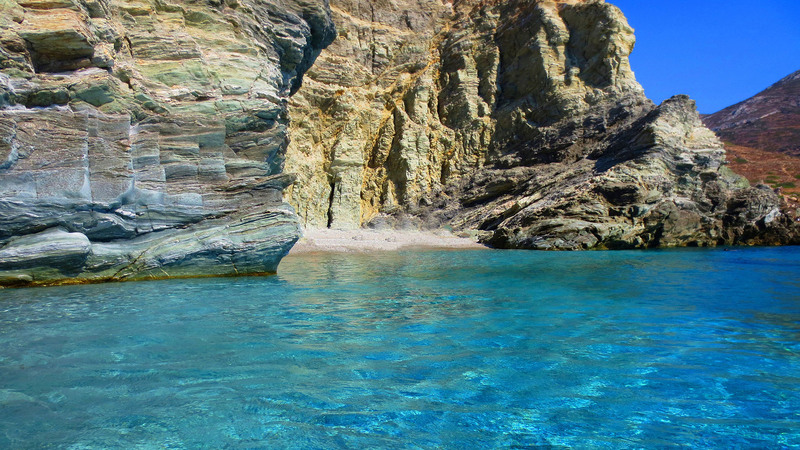 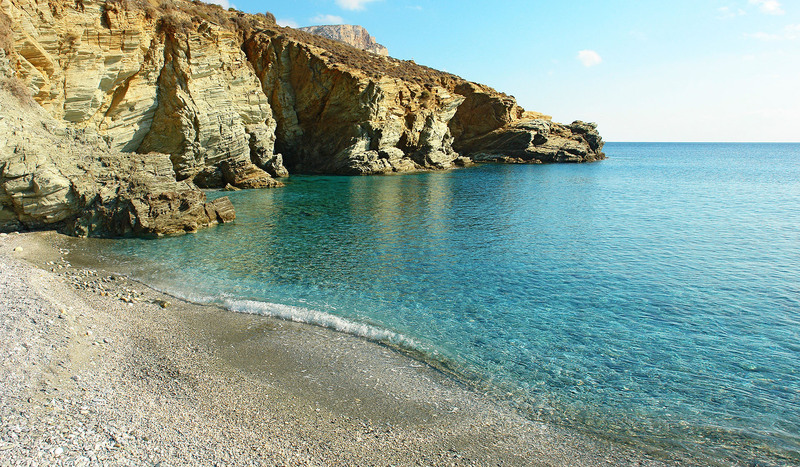 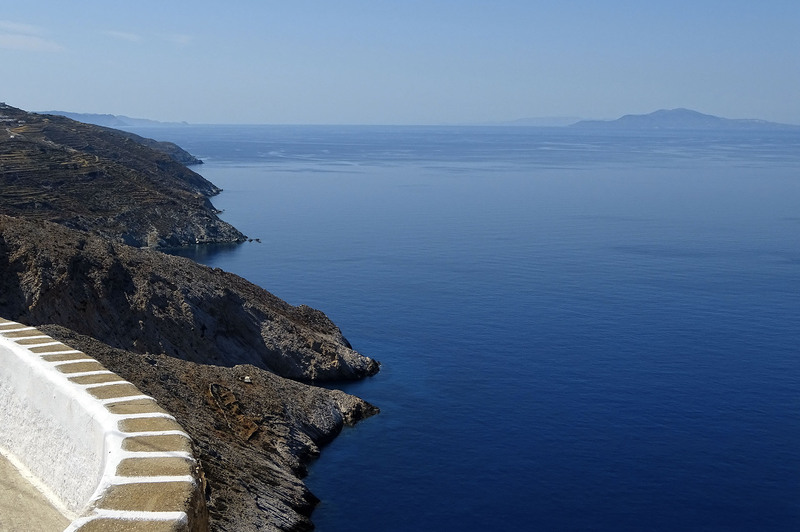 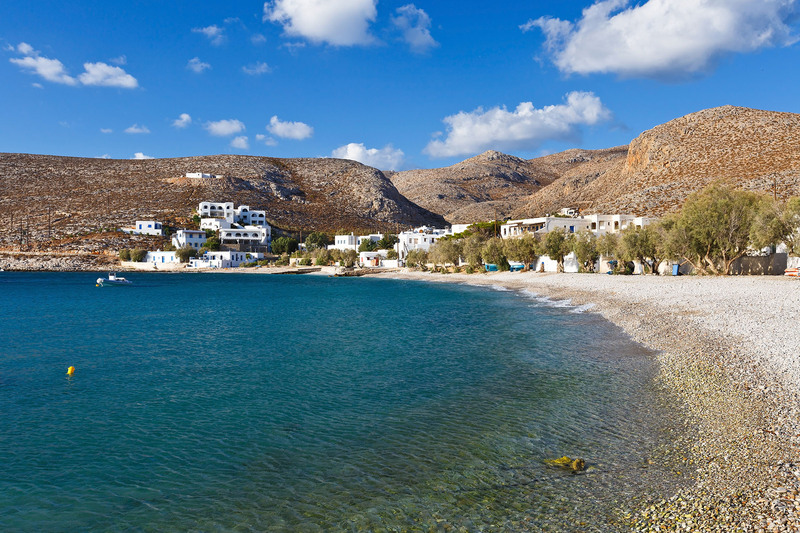 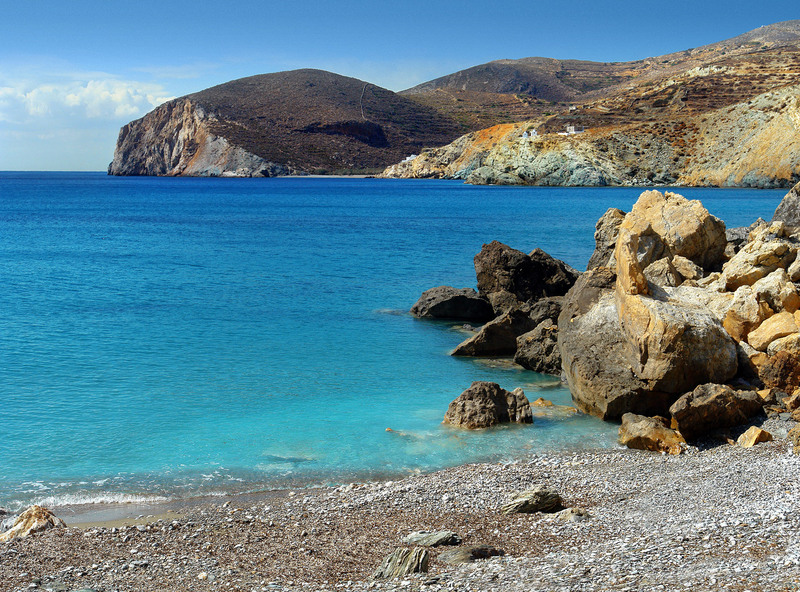 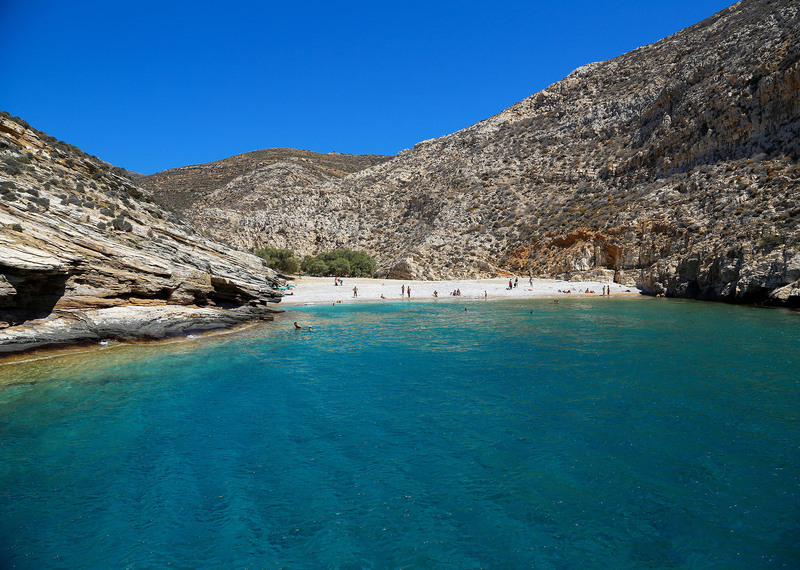 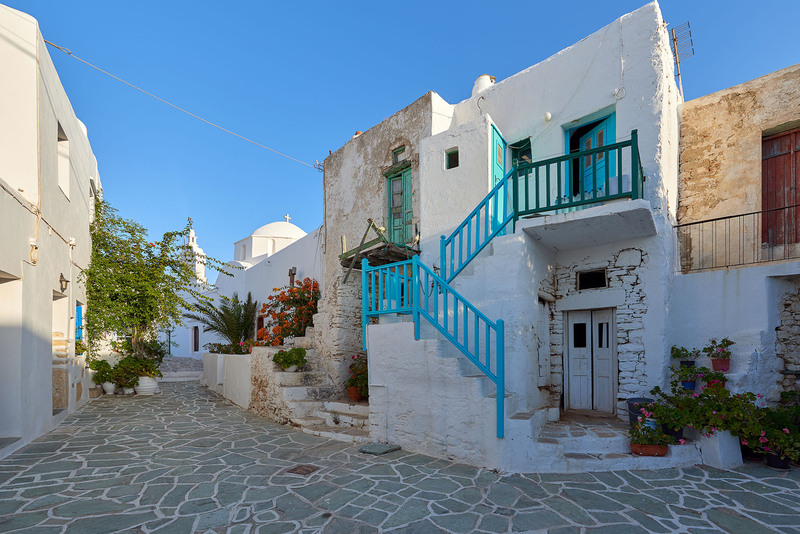 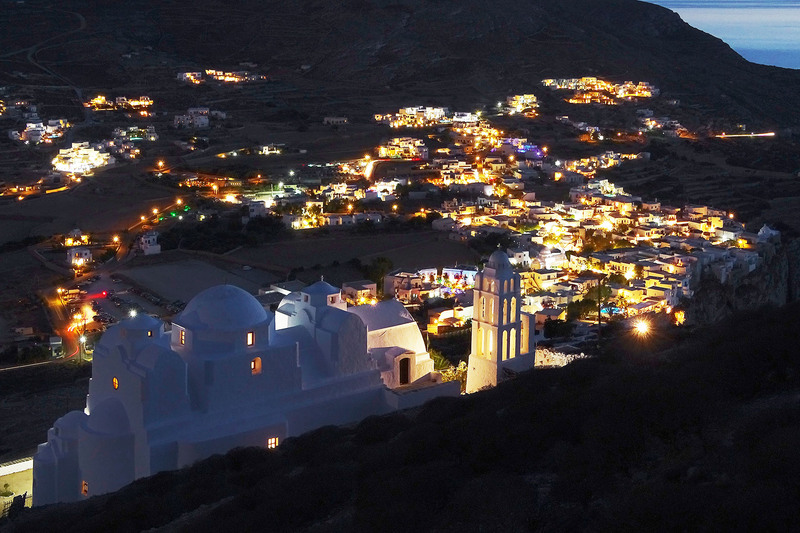 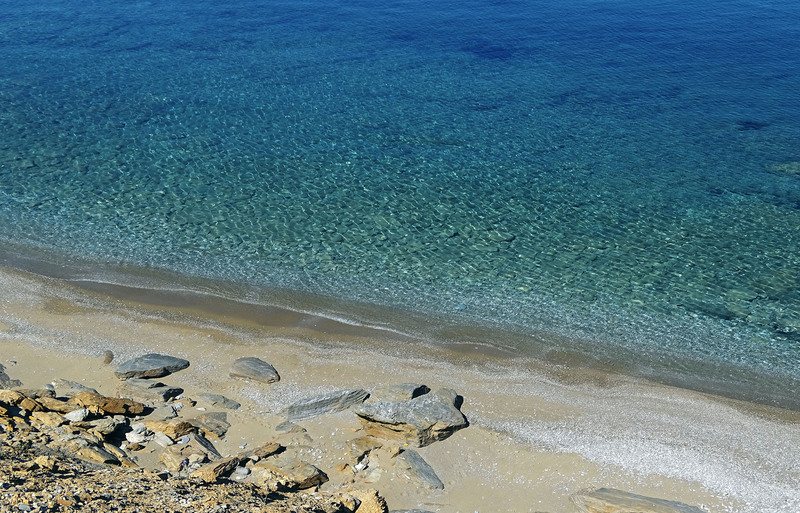 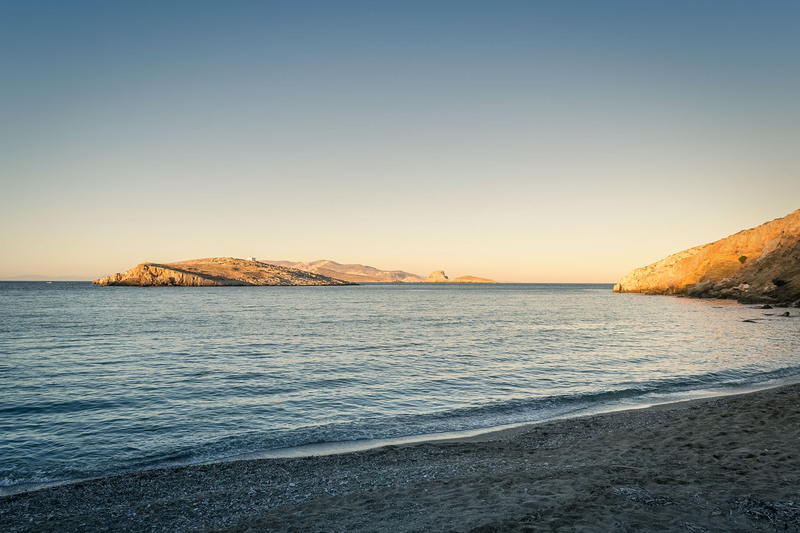 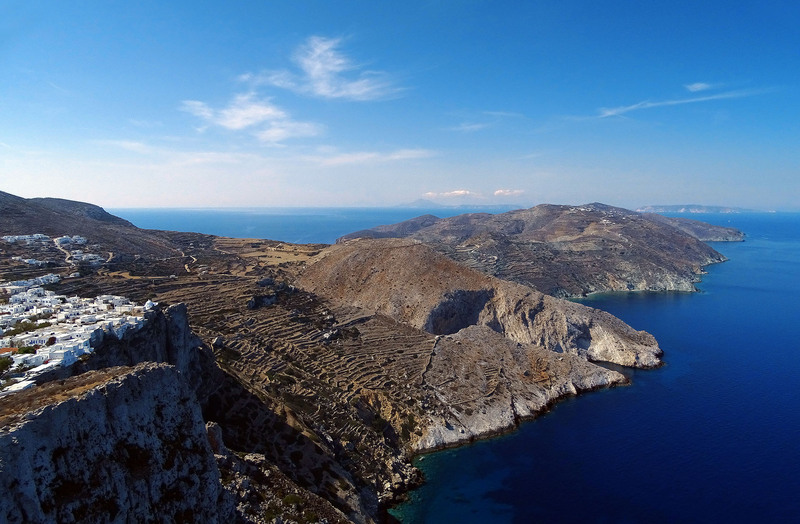 What to say about the unparalleled natural beauty of Chora in Folegandros? 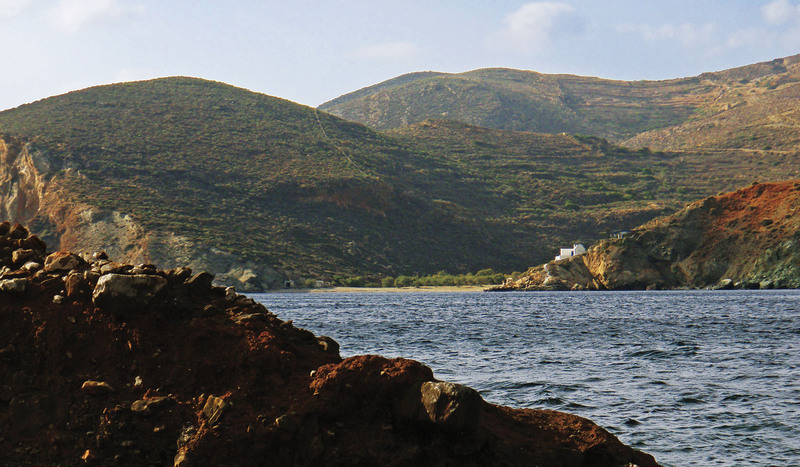 Perched high on the rock the church of the Virgin Mary. 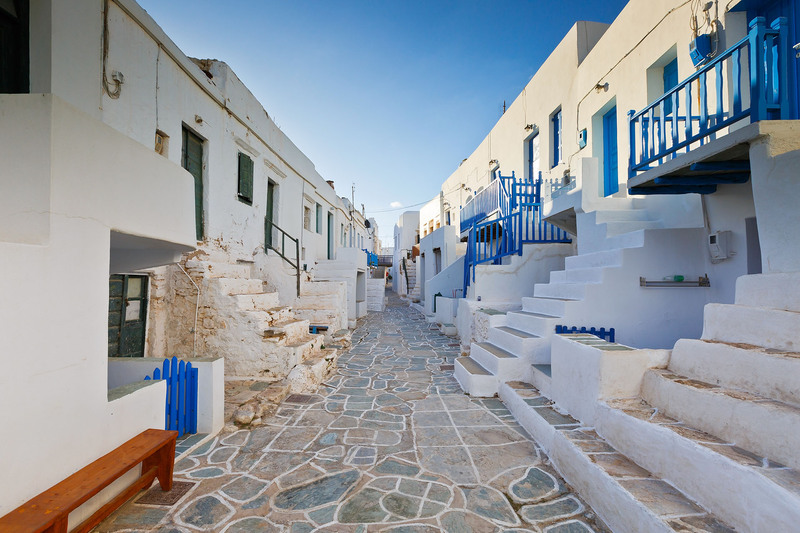 To get there, you have to walk uphill, whitewashed, stepped stairs, starting from the Primary School at Pounta Square. 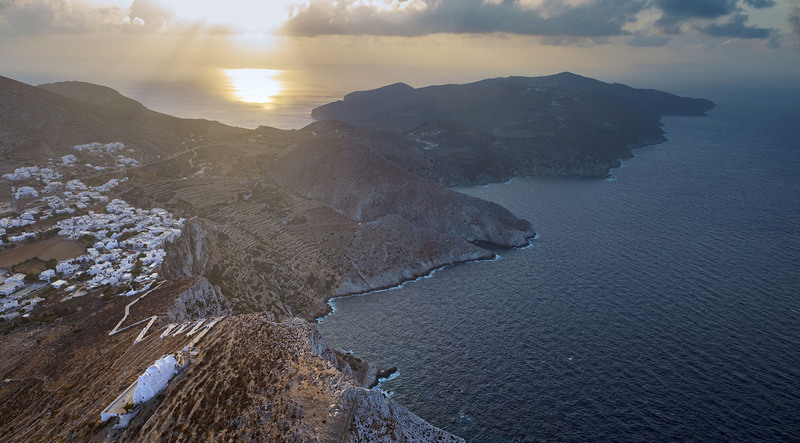 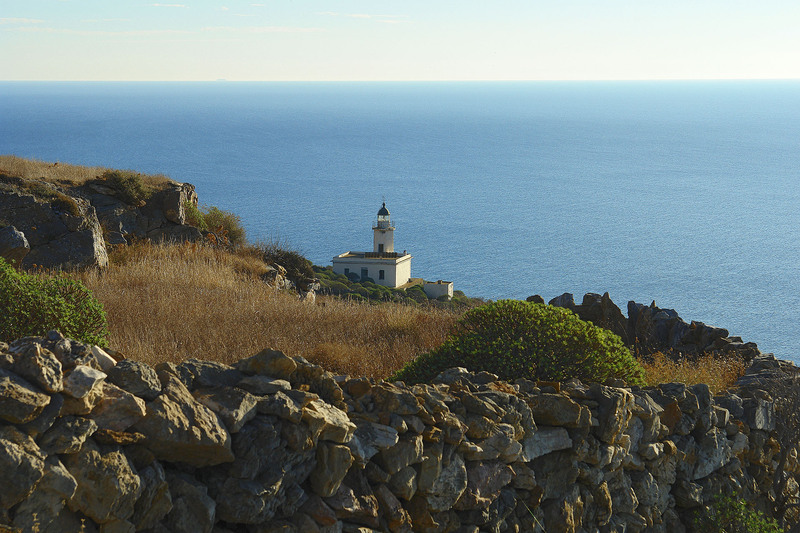 Descending from the church and reaching Pounta, you meet the “Aegean balcony” with a breathtaking view. 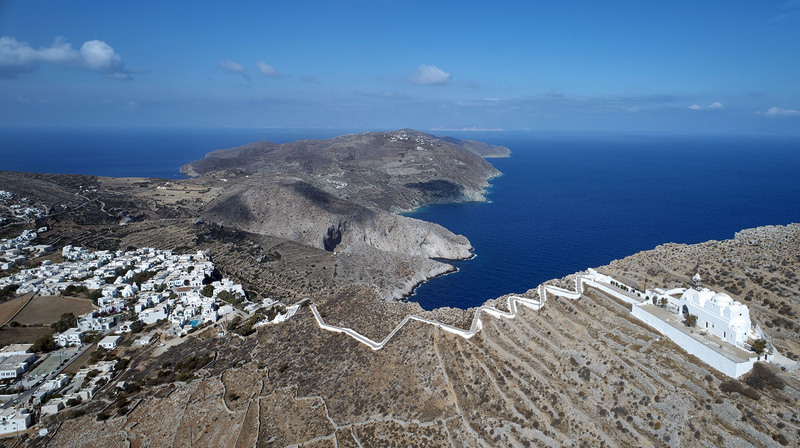 To the left, literally on the edge of the cliff 200 meters above the sea, dominates the medieval Castle that is inhabited until today and preserves its character. 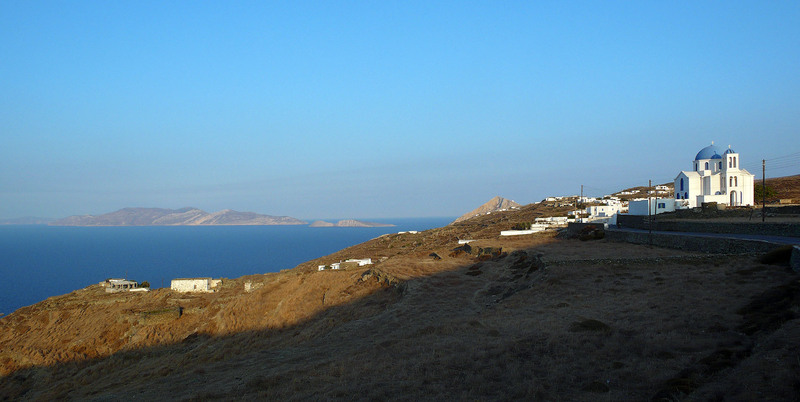 From there five squares unfolding one after the other. 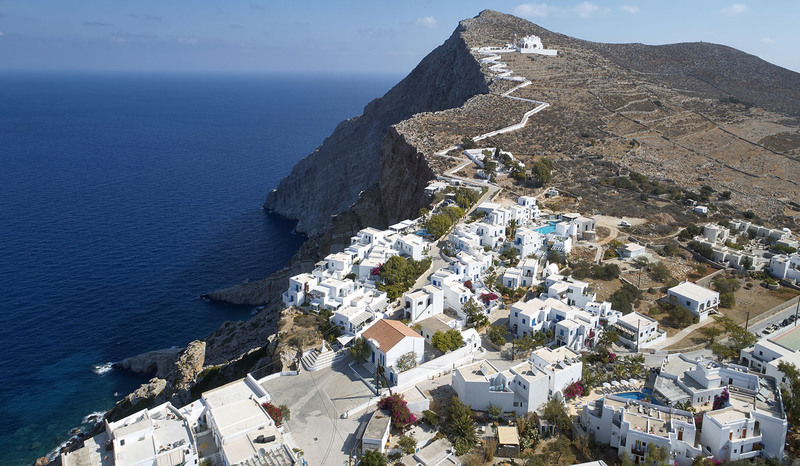  It is no coincidence that in the last few years, magazines, tourist guides as well as sites around the world rank the country in the most picturesque destinations in Europe. 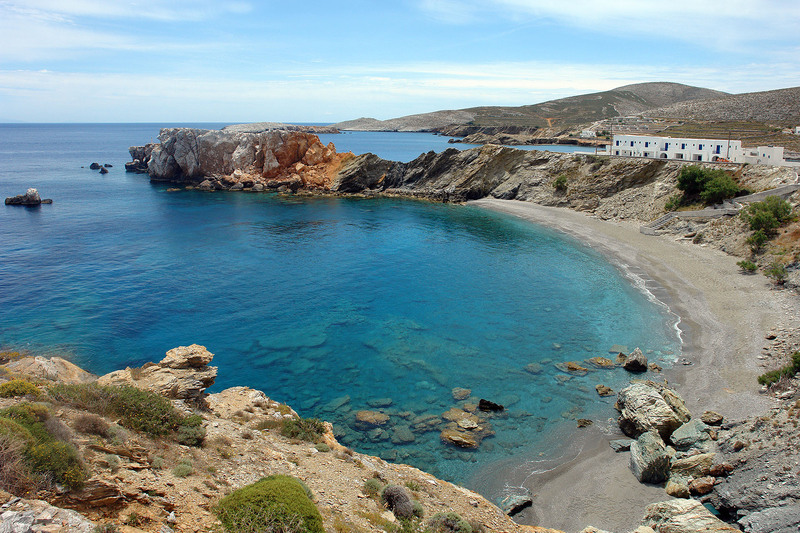 Here is the heart of the island! 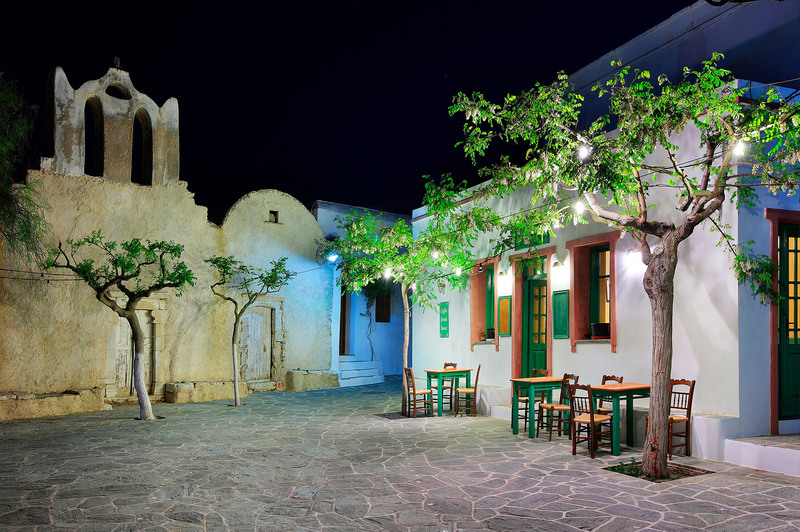 Here you will find Polikandia Hotel.